Venezuelan President Hugo Chavez, paying a visit to China, slammed Israel on Friday condemning Israel's strikes in Lebanon as comparable to the acts of Adolf Hitler. Chavez, who cut diplomatic ties with Israel during its attacks on Lebanon, denounced the attacks that killed over a thousand civilians. Chavez compared the Israeli aggression to the acts of Adolf Hitler, the leader of Nazi Germany, and said Israeli leaders should be prosecuted for genocide before the International Court of Justice. "The kidnapping of the Israeli soldiers was just a pretext to attack Lebanon. I don't endorse the kidnapping but it was not a cause for war and fascism," Chavez told a press conference in Beijing, Friday. "Israel is doing the same thing today as Hitler did," he said. "We give our sympathy to the Arab people and condemn Israel. What the Israeli army did in Lebanon was genocide." The Venezuelan President said that the Chinese President Hu Cintao backed his country’s bid for a U.N. Security Council seat. Chavez criticized the US government for employing every means to block Venezuela from joining the Security Council. "The American imperialists are trying to stop us. We are all against US imperialism." The Venezuelan President added that he had received support from South American countries, the Arab league, China and Russia. You might want to check your spelling of the Chinese leader there, Trev, and why are Chavez's comments getting so much attention? 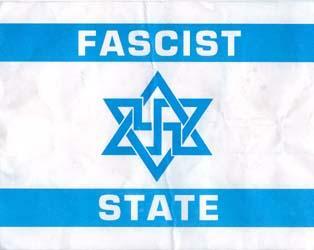 Would the same thing be done if say, the Columbian president (whoever that is) called Israel a fascist state? Chavez is getting attention because of the oil reserves his country holds. Thanks anon. I followed the spelling in the article. I usually use Hu Jintao. You're right about Chavez. His country's oil wealth gives this nutcase a lot of power and influence. His loony statements carry weight because he has economic clout to back them up.